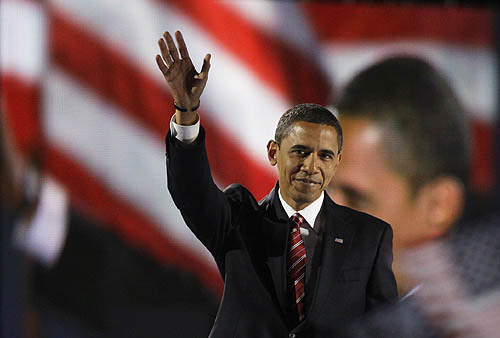 Barack Obama — Can He Deliver? President-elect Barack Obama must have seen it coming. There are still celebrations in the most remote reaches of the globe. The expectations following his victory are so stupendous, it seems many are setting themselves up for eventual disappointment. From every corner of the planet, the jubilation that has greeted his accession to power is somehow wedded to the belief that material benefits will be showered on countries like Jamaica and Kenya, that tourist arrivals will skyrocket in a little Japanese town that bears the same name, and immediate world peace will descend on nations struggling under the weight of American cultural or militaristic hegemony in its enduring quest for global dominance. There is no doubt that the outcome of the November 4 election has marked a momentous period in American history, when after much deliberation the nation elected this son of parents from America’s white heartland and from the East African plains of Kenya, born and raised in Hawaii with part of his upbringing in Indonesia. Obama’s compelling journey began in the turbulent civil rights era, with his birth in 1961, on the eve of the passage of the Civil Rights Act in ’64. A generation later, after a remarkably efficient campaign, his stunning victory is thought to have further ratified the US constitutional claim that “all men are created equal”. America is still in a daze. Amid the glowing congratulatory messages from heads of state from all over the globe, and even before the stage lights and platforms of Chicago’s Grant Park were completely dismantled, the Russians delivered a withering message of their own, choosing to fire the first salvo with the sounds of victory still ringing in Obama’s ears. President Dmitry Medvedev’s excoriation of US foreign policy was accompanied by conditions: If America wants to cultivate good relations with Moscow, the Kremlin declared, the new administration must be willing to trash the current foreign policy of the Bush regime. Perfect timing, drawing the line this early in the game. Obama is being tested literally from day one. Palin’s comedic campaign utterances of “Putin rearing his head” in American airspace just took on a darker shade of pale with the issuance of the Kremlin’s threat to deploy ballistics missiles to Europe, the first threat of its kind since the end of the Cold War. Before the new president has taken a moment to recover from the stress of a protracted and vigorous campaign, his wake-up call has been issued, and more importantly, from America’s old nemesis. In the meantime, many Kenyans are rejoicing in the belief that the doors of American opportunity will now be open to them with a son of theirs in the White House, similar to the expectancy of not a few Jamaicans, that his presidency will deliver increased opportunities for trade or access to financial aid for the economically challenged island nation. The truth is that America is itself facing crises on many levels and will look to its own interests as a new administration seeks to restore the nation to its former glory, perhaps the same intentions of the Kremlin for itself, nearly 20 years after the Soviet Union’s collapse. Barack Obama won’t have much of a honeymoon.